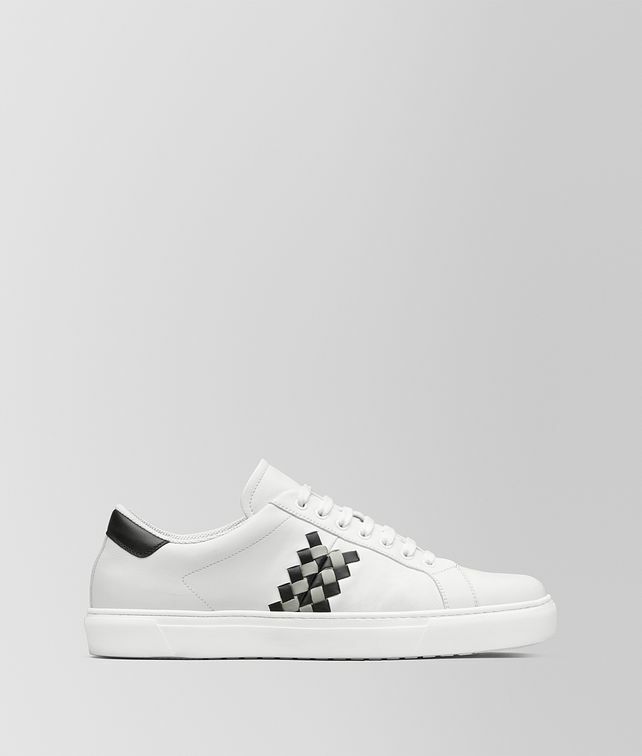 The sophisticated sneaker is handcrafted from supple calf leather in a classic, slim profile. It displays a mirrored, graphic intrecciato check detail, the house’s signature motif. This distinctively lightweight style is suited to the season’s casual yet refined sensibility.